Cher performed some of her hits during a private gig in Monaco. Showing the diva is on her way back to performing with a possible world tour in 2016 covering Europe and Australia. 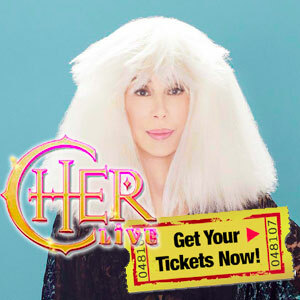 Cher’s Dressed to Kill Tour has grossed a reported $54.9 million through the end of its first leg on July 11. A total of 610,812 attendees went to the 49 shows — all of which were sell-outs.